Join us on April 28th from 10 AM until 1 PM in the beautiful Westside New Leaf Kitchen for our introduction to Ayurveda and Ayurvedic cooking. 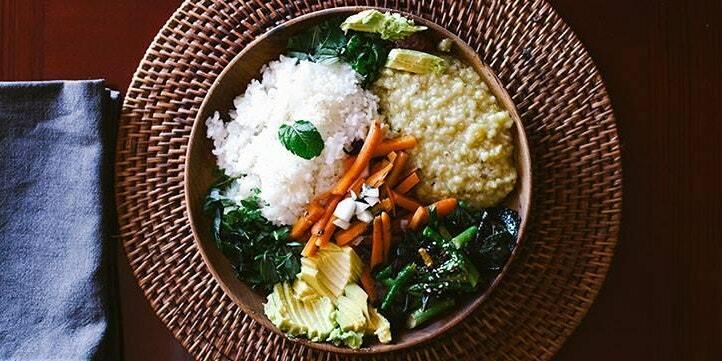 A wholesome Ayurvedic lunch will be included. $47 to attend. Ever go into a grocery store (especially the spices and herbs sections) and feel overwhelmed and lost? You know something might be good for you, but you don’t know why or how? In this workshop we will break down the Ayurvedic principles of common kitchen spices and herbs and introduce traditional Ayurvedic Herbs. You’ll learn how to best use and cook them and then be able to eat them with our Ayurvedic Lunch! This will also include an introduction to Ayurveda. The westside new leaf is at 1101 fair avenue Santa Cruz. PS please don’t hesitate to contact us if you have any questions!